At school Mini's class has been doing a textiles and fashion project, combined with a bit of geography, history and design. This has involved taking in some of nanny's first wedding photos (with a few sniggers at the woollen shawls that the bridesmaids wore! ), and some of nanna's old family photos (with some surprise at the expressions on the Victorian faces). There have also been fashion shows, and Mini's had to find some of his own clothes that were made in foreign countries - including his Aussie Rule Footy shirt and his Everton FC kit to take in. 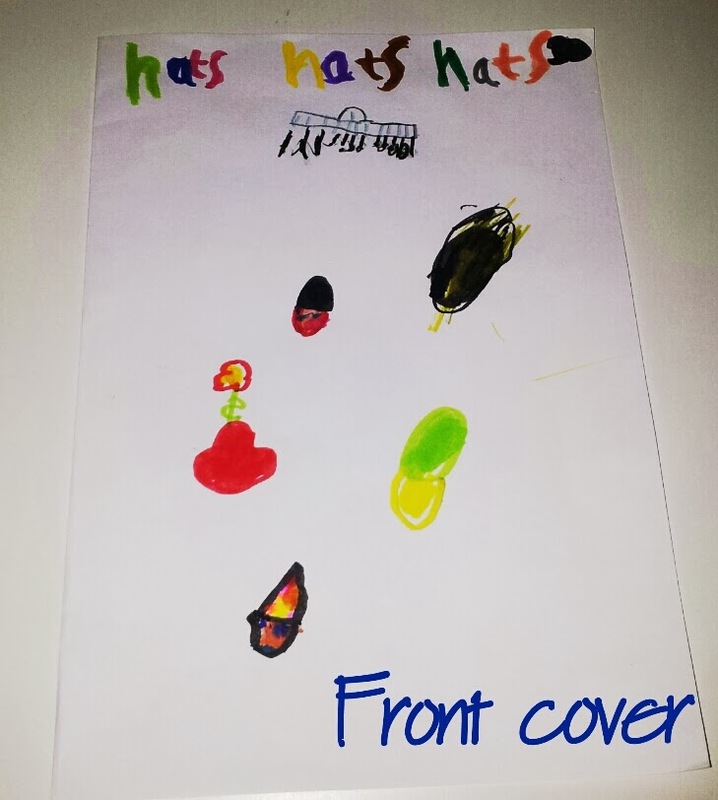 It's really captured his imagination, and so, off his own back he decided to design some hats and make a booklet out of it. So he got to practise his writing, his drawing and together Mini and I designed and cut out hats and stuck them onto some family photos. 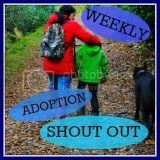 His teachers loved it, and it was remarked upon not only at parents evening, but mentioned to our social worker recently when he went in to introduce himself. Glad MIni enjoyed this topic. Sounds like it was lots of fun. 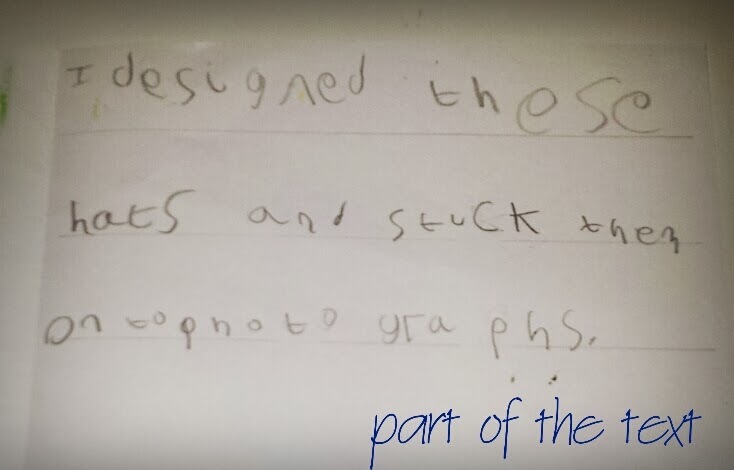 Great handwriting too. Lovely post. And great to see hm inspired. If you fancied a"well done" reward check out Hamilton's Hats by the guy who illustrates the Gruffalo. Lovely story about a pig who loves hats and learns valuable life lessons like kindness, patience and effort because of it. What a lovely post and well done Mini.